Institute for Racial Equity: Connections Matter. Gain deeper understanding of your unconscious biases. Learn how to combat discriminatory behavior. Develop a team committed to Diversity & Inclusion. Make meaningful connections with your community. Law Enforcement Professionals (LEP’s) rely on them daily. However, when dealing with race and ethnicity, instincts can be misleading, and the results are fatal.. How are our instincts formed? How can they be changed?. Our program, Lethal Weapon – How Deadly Is Your Bias? 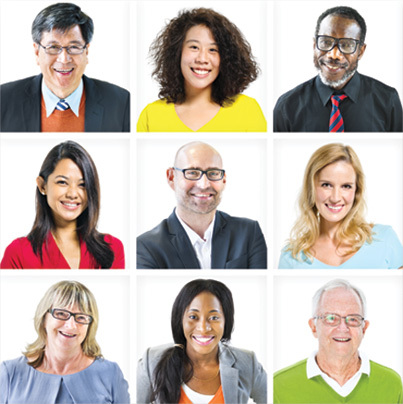 can help your LEP’s discover how their thought processes pertaining to race and ethnicity have been developed, as well as how they can be adjusted to avoid costly mistakes and unintended deaths. The Institute for Racial Equity was founded to help LEP’s in all aspects of their jobs relating race relations, biases, stereotypes and other hindrances in dealing with those who are different. Law enforcement departments will receive unrivaled, honest and upfront training specifically targeted for LEP’s. Our training is not about definitions but about recognition. By providing LEP’s with the tools necessary to understand their own personal thought patterns and behaviors, we are able to help them formulate appropriate responses in situations that do not lend themselves too much time. Don’t’ trust your department education and training to a business that provides only standardized substance. Your department deserves the most intuitive expert in racial division. Contact The Institute for Racial Equity today to learn how we can help. Find out how I can help your department improve Race-relations within your community! Learn how to address these issues and more, before they become a problem. Find out how corporate culture affects overall productivity & performance. As a Senior Enlisted Naval Petty Officer with over 25 years experience working closely with law enforcement professionals, I have consistently been able to develop an environment of mutual respect between departments and their communities. My unique ability to accurately assess discriminatory and racist behaviors that create divisiveness has proven beneficial in building strong, united teams that are culturally sensitive and aware. I understand the challenges police officers face while working in diverse environments and have a proven track record of developing strategies to counter racist behaviors. With all that is happening between the police and the public, it is important to be proactive by obtaining the tools necessary to combat biases before they become a problem. Having worked with some of the largest companies around the world on their diversity and inclusion strategies, I’ve gained unparalleled insight into what works and what doesn’t. This allows me to offer a company like yours that chance to apply amazing techniques to improve working environments, drive profits and improve performance.